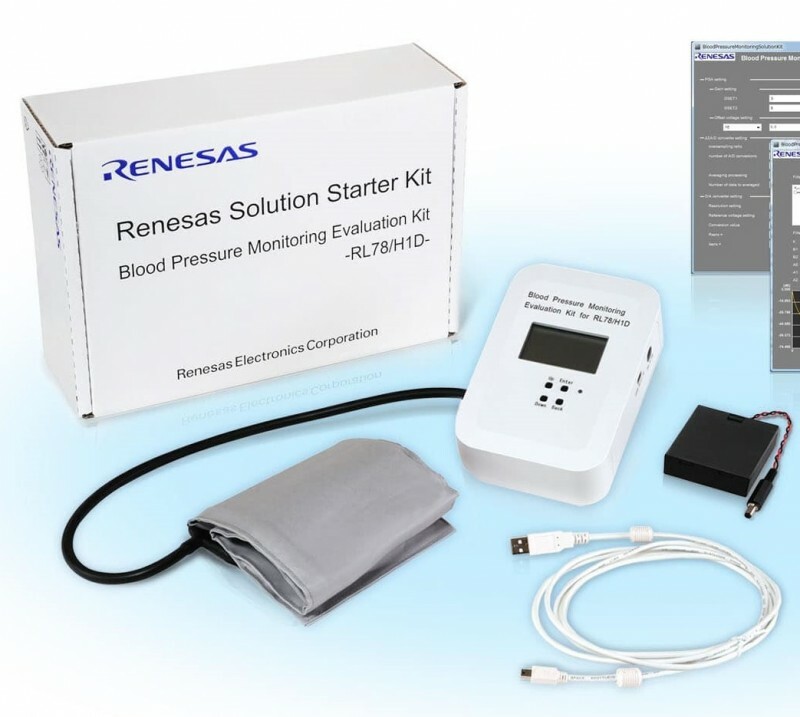 Renesas Electronics has announced an expansion of its healthcare solution lineup with the launch of a new blood pressure monitoring evaluation kit. The new blood pressure monitoring evaluation kit comprises hardware and software elements needed to jump start blood pressure measurement design. The kit includes a pressure sensor, arm cuff, pump, electronically controlled valve, LCD panel and a reference board. 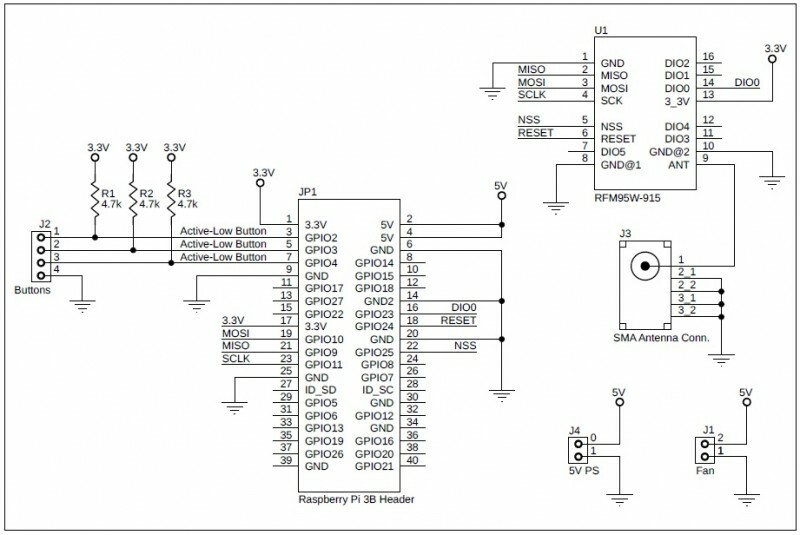 The reference board incorporates an RL78 MCU-based ASSP (application specific standard product) that includes analog functions required for blood pressure measurement. Reference software and graphical user interface (GUI) development tool are also part of the new evaluation kit. Using the new evaluation kit, system manufacturers can immediately begin their system evaluations and significantly reduce their development time. The Internet of Things offers consumers connected tools with which to manage their personal healthcare more efficiently. For instance, blood pressure monitors are already popular personal medical devices and the market is expected to grow further as blood pressure monitoring functions are incorporated into wearable devices. 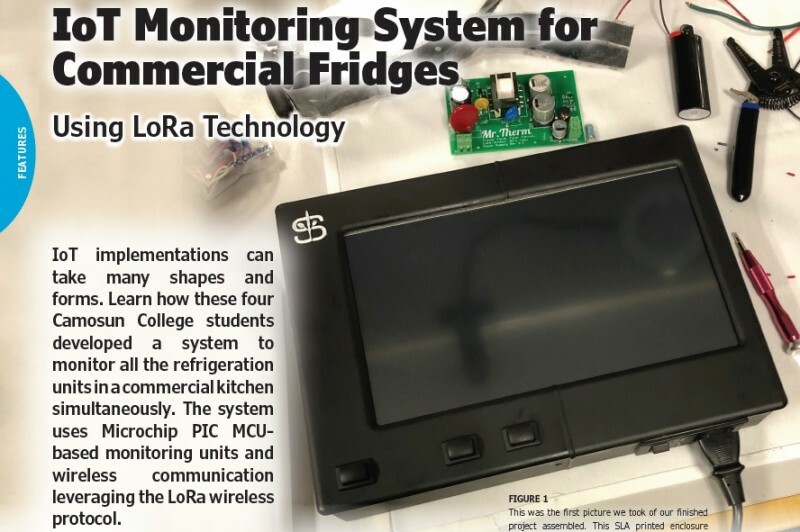 The growth of this market offers new business opportunities, but can also be challenging, particularly for system manufacturers who are new to the connected healthcare device ecosystem and may not have the built-in application-specific expertise. Blood pressure measurement requires a specific expertise, including filtering functions for extracting the waveforms required for measurement, making it extremely time consuming to start studying this area from the very beginning. Renesas has developed the new blood pressure monitoring evaluation kit to alleviate the development pain points, providing functions close to those used in actual blood pressure monitors thus accelerating blood pressure measurement system development. A full range of hardware components, including a pressure sensor, arm cuff, pump, electronically controlled valve, LCD panel, and a reference board that incorporates the newly-developed RL78/H1D ASSP with the analog functions required for blood pressure measurement. Reference software that provides the algorithms required for blood pressure measurement and that can be easily modified, as well as access to smartphone applications, and a graphical user interface (GUI) tool. A Bluetooth Low Energy (BLE) module, which enables the measured data to be transmitted to a smartphone under the Continua standard blood pressure monitoring (BPM) profile is also provided in the new evaluation kit. The pressure sensor, pump, electronically controlled valve components, and pulse width modulation control can be set from the GUI tool. If the system structure is the same, the GUI tool can also be used for system evaluation of the actual application the system manufacturer is developing. The IIR digital filter calculations required for extracting the pulse waveform from the cuff pressure output waveform during blood pressure measurement can also be simulated using the GUI tool. 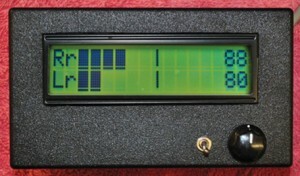 The digital filter constants calculated based on this simulation can be written from the GUI tool to the RL78/H1D firmware and verified in the actual application being developed. This significantly reduces the number of steps in the development process. The RL78/H1D is a new ASSP of the RL78 Family of MCU. The RL78/H1D, designed to control systems required for blood pressure measurement with a single chip. It incorporates rich analog functions including high-resolution delta sigma A/D converters, programmable gain instrumentation amplifiers, D/A converters, operational amplifiers, and other circuits required for blood pressure measurement, as well as timers for PWM (pulse-width modulation) control. Samples of the RL78/H1D ASSP are available now. Pricing varies depending on the memory capacity, package and number of pins. For example, the R5F11NMG 80-pin LQFP package type with 128 KB flash ROM capacity is priced at US$3.50. The R5F11NMG includes an LCD controller for arm- and wrist-type blood pressure monitors, and a 4mm x 4 mm miniature ball grid array (BGA) package for use in wearable devices. Renesas plans to expand its range of solutions for the healthcare field and will continue to contribute to the realization of a safe and secure smart society, including the development of smart connected devices for the industrial and healthcare industries. The new blood pressure monitoring evaluation kit is scheduled to be available for order from May 10 priced at $600 per unit. Technologic Systems is now shipping its newest single board computer, the TS-7553-V2. 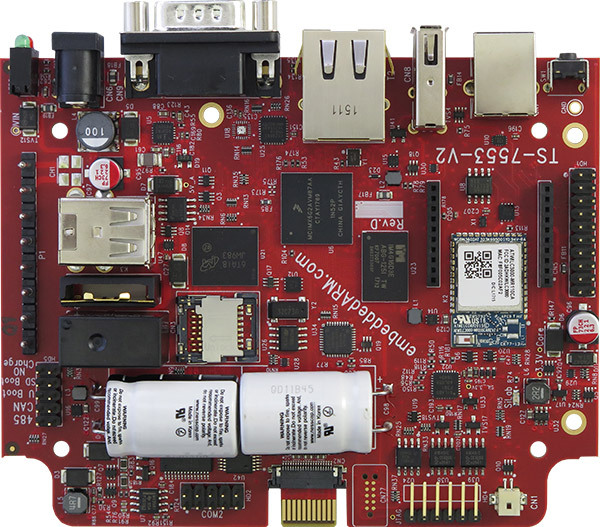 The board is developed around the NXP i.MX6 UltraLite, a high performance processor family featuring an advanced implementation of a single ARM Cortex-A7 core, which operates at speeds up to 696 MHz. While able to support a wide range of embedded applications, the TS-7553-V2 was specifically designed to target the industrial Internet of Things (IIoT) sector. The TS-7553-V2 was designed with connectivity in mind. An on-board Xbee interface, capable of supporting Xbee or NimbleLink, provides a simple path to adding a variety of Wireless interfaces. An Xbee radio can be used to link in with a local 2.4GHz or sub 1 GHz mesh networks, allowing for gateway or node deployments. Either Digi or NimbleLink offer cellular radios for this socket, providing cellular connectivity for applications such as remote equipment monitoring and control. There is also the option for a cellular modem via daughter card. This allows transmission of serial data via TCP, UDP or SMS over the cellular network. The TS-7553-V2 also includes an on board WiFi b/g/n and Bluetooth 4.0 option, providing even more connectivity. Further radio expansion can be accomplished with the two internal USB interfaces (one on a standard USB Type A connector, and the second on simple pin headers). The USB interfaces enable support for multiple proprietary networks via a dongle or USB connected device. This provides the opportunity to run mesh, LoRa, ZigBee, automotive WiFi or other protocols with the TS-7553-v2 . All of these radio options combined with the on board 10/100Base-T Ethernet create the opportunity to communicate seamlessly with up to 5 different networks simultaneously from a single point. 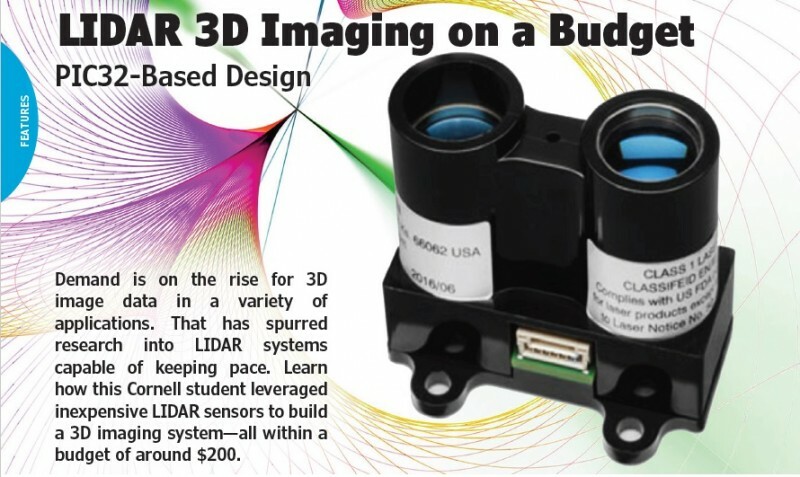 A Nine-Axis Micro-Electro-Mechanical System (MEMS) motion tracking device containing a gyroscope, accelerometer and compass are optional on-board in for asset management, fleet management and other applications which would require sensing motion or vibration in the environment. 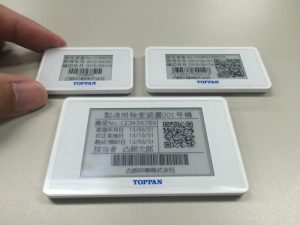 A low cost monochrome 128x64px LCD with 4 button keypad is available for Human Machine Interface (HMI) applications. Â The keypad offersÂ intuitive operation using 4 tactile functionÂ keys and the LCD is ideal for simple visualization tasks, even in harsh environments. Â If HMI is not a considerationÂ compact, lightweight, rugged enclosuresÂ are available to containÂ your gateway in a secure fanless enclosure. Both enclosures are DIN mountable. Technologic Systems has taken the lead in combating read/write errors to memory that can prove fatal to Operating Systems. TS-SILO is an optional feature which will provide up to 30 seconds of reserve power in the event of a power failure. This precious extra time gives the board time to gracefully power down and ensures file system integrity. Additionally, for heavy data logging applications The TS-7553-V2 is the first SBC from Technologic Systems to include Ferroelectric RAM (FeRAM or FRAM). FeRAM advantages over flash include: lower power usage, faster write performance and a much greater maximum read/write endurance, allowing a user to keep running data logs without prematurely wearing out their flash memory. Combined these two features provide you with insurance from abrupt power loss, read/write errors and startup difficulties. Applications with strict low power requirements will appreciate the work that’s been done to reduce power consumption to less than 2 W in typical conditions and a 9 mW sleep mode. Power over Ethernet (PoE) is supported via a daughter card, if desired. Development can begin out-of-the-box with pre-installed Linux and utilities for controlling DIO, UARTS, CAN bus, and more. A complete board support package is provided, as well as access to our software repository and online support. Third party application support can be provided via the Technologic Systems’ Partner Network. 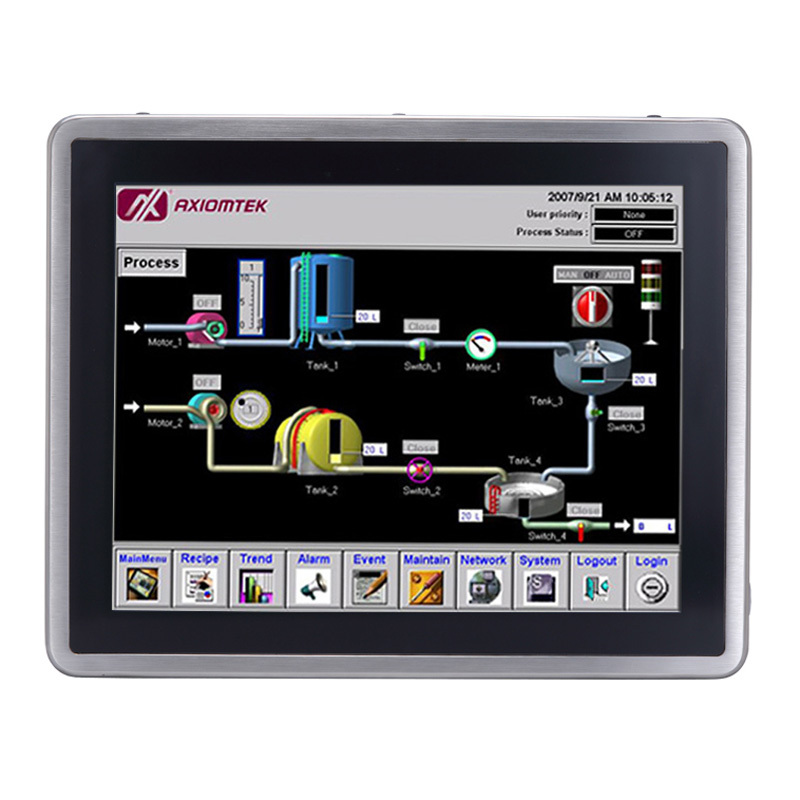 Axiomtek has introduced the release of two new IP66/IP69K stainless steel touch panel computers: the 15″ GOT815L-511 and 17″ GOT817L-511 (shown). These Intel Kaby Lake processor-based stainless steel touch panel PCs are especially designed for use in extreme humidity, moist, dusty or wet environments. The highly reliable stainless touch panel computers adopt a high brightness LCD display with 420 nits (GOT815L-511) and 350 nits (GOT817L-511) brightness to ensure visibility in harsh environments with varying light intensity and come with options for projected capacitive touch or 5-wire flat resistive touchscreen display. The SUS316 stainless steel case can prevent bacteria growth and rust brought on by prolonged usage in moist and wet environments. Furthermore, the flat panel design prevents accumulation of dust and moisture and also makes cleaning easier. The 15” XGA and 17” SXGA stainless steel panel computers come with rich I/O interfaces with M12-type connectors including two RS-232/422/485 ports, four USB 2.0 ports and one gigabit Ethernet port. They both support one DDR4-2133 SO-DIMM slot with up to 16GB system memory, and one 2.5″ SSD or 2.5″ SATA HDD for storage. Additionally, two PCI Express Mini Card slots are available for wireless network connections. The NEMA 4X Intel Core-based rugged touch panel computers are compatible with Windows 10 and Windows 10 IoT. Mounting ways include suspension and VESA arm. Axiomtek’s 15-inch GOT815L-511 and 17-inch GOT817L-511 are going to be available in January, 2018. 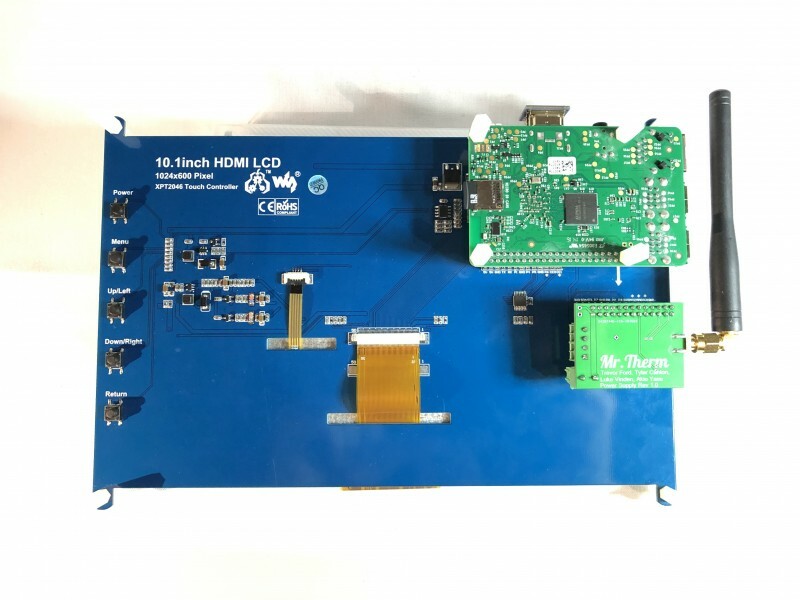 LCDTERM.com recently launched a new programming-free LCD user interface, which allows for seamless and code-free integration onto any embedded platform. Eliminating the need to write software to control the display, the LCDTERM user interface does not require LCD programming knowledge, so you can focus more on desired functionality rather than writing device drivers. Its three-button keyboard allows developers to implement a full user interface without having to worry about reading buttons, debouncing, or programming resources on the host embedded system. 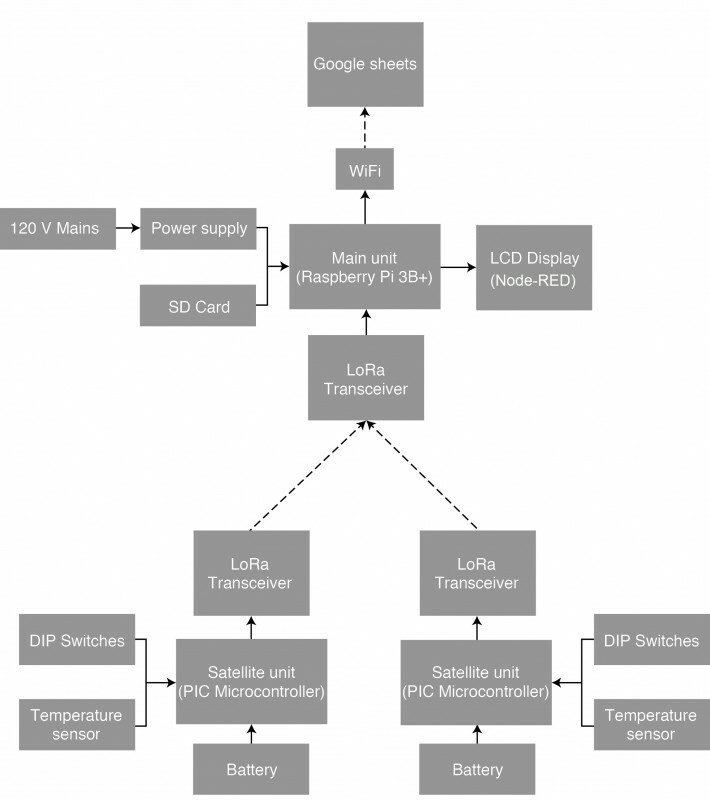 The LCDTERM interface includes all control firmware and uses a speedy ARM M0 processor. It comes with a free API. Included font and user-defined bitmaps allows for addition of 64K color displays to any embedded system. Display sizes begin at 1.77″ and are ready to ship immediately in high quantities. Larger sizes of 2.8″ and 5″ are also available. LCDTERM.com can scale for custom sizes, and it is equipped to enter into OEM arrangements. Free demo kits are available for applications via the website. LEDs are ubiquitous in our electronic lives. They are widely used in notification lighting, flash photography, and light bulbs, to name a few. For displays, LEDs have been commercialized as backlights in televisions and projectors. However, their use in image formation has been limited. A prototype emissive LED display chip is shown. The chip includes an emissive compass pattern ready to embed into new applications. The developing arena of monolithically integrated LED arrays, which involves fabricating millions of LEDs with corresponding transistors on a single chip, provides many new applications not possible with current technologies, as the LEDs can simultaneously act as the backlight and the image source. The common method of creating images is to first generate light (using LEDs) and then filter that light using a spatial light modulator. The filter could be an LCD, liquid crystal on silicon (LCoS), or a digital micromirror device (DMD) such as a Digital Light Processing (DLP) projector. The filtering processes cause significant loss of light in these systems, despite the brightness available from LEDs. For example, a typical LCD uses only 1% to 5% of the light generated. Two pieces are essential to a display: a light source and a light controller. In most display technologies, the light source and light control functionalities are served by two separate components (e.g., an LED backlight and an LCD). However, in emissive displays, both functionalities are combined into a single component, enabling light to be directly controlled without the inherent inefficiencies and losses associated with filtering. Because each light-emitting pixel is individually controlled, light can be generated and emitted exactly where and when needed. Emissive displays have been developed in all sizes. Very-large-format “Times Square” and stadium displays are powered by large arrays of individual conventional LEDs, while new organic LED (OLED) materials are found in televisions, mobile phones, and other micro-size applications. However, there is still a void. Emissive “Times Square” displays cannot be scaled to small sizes and emissive OLEDs do not have the brightness available for outdoor environments and newer envisioned applications. An emissive display with high brightness but in a micro format is required for applications such as embedded cell phone projectors or displays on see-through glasses. We know that optimization by the entire LED industry has made LEDs the brightest controllable light source available. We also know that a display requires a light source and a method of controlling the light. So, why not make an array of LEDs and control individual LEDs with a matching array of transistors? The marrying of LED materials (light source) to transistors (light control) has long been researched. There are three approaches to this problem: fabricate the LEDs and transistors separately, then bond them together; fabricate transistors first, then integrate LEDs on top; and fabricate LEDs first, then integrate transistors on top. The first method is not monolithic. Two fabricated chips are electrically and mechanically bonded, limiting integration density and thus final display resolutions. The second method, starting with transistors and then growing LEDs, offers some advantages in monolithic (single-wafer) processing, but growth of high-quality, high-efficiency LEDs on transistors has proven difficult. My start-up company, Lumiode (www.lumiode.com), is developing the third method, starting with optimized LEDs and then fabricating silicon transistors on top. This leverages existing LED materials for efficient light output. 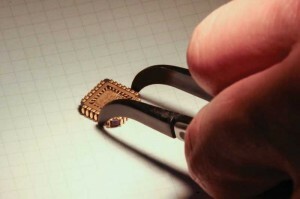 It also requires careful fabrication of the integrated transistor layer as to not damage the underlying LED structures. 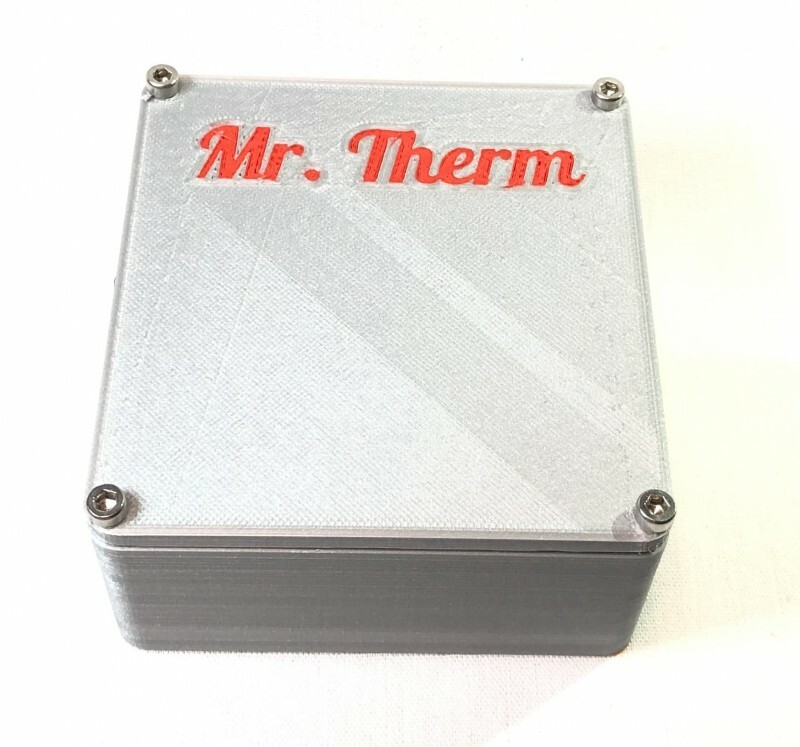 The core technology uses a laser method to provide extremely local high temperatures to the silicon while preventing thermal damage to the LED. This overcomes typical process incompatibilities, which have previously held back development of monolithically integrated LED arrays. In the end, there is an array of LEDs (light source) and corresponding transistors to control each individual LED (light control), which can reach the brightness and density requirements of future microdisplays. Regardless of the specific integration method employed, a monolithically integrated LED and transistor structure creates a new range of applications requiring higher efficiency and brightness. The brightness available from integrated LED arrays can enable projection on truly see-through glass, even in outdoor daylight environments. The efficiency of an emissive display enables extended battery lifetimes and device portability. Perhaps we can soon achieve the types of displays dreamed up in movies. 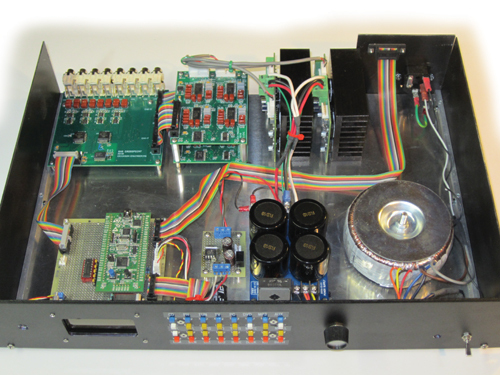 Dave Erickson built his first multi-zone audio system in the early 1990s using C microprocessor code he developed on Freescale MC68HC11 microprocessors. The system has been an important part of his home. 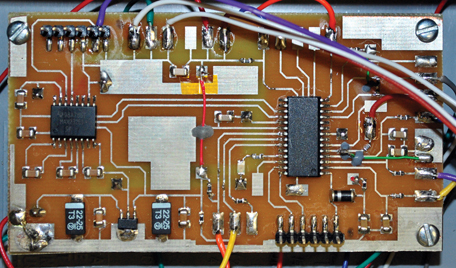 In Circuit Cellar’s January and February issues, Erickson describes how he upgraded the eight-zone system, which uses microprocessor-controlled analog circuitry. In the end, his project not only improved his home audio experience, it also won second place in a 2011 STMicroelectronics design contest. Photo 1: Clockwise from the upper left, the whole-house system includes the crosspoint board, two quad preamplifiers, two two-zone stereo amplifiers, an AC transformer, power supplies, and the CPU board with the STMicroelectronics STM32VLDISCOVERY board. 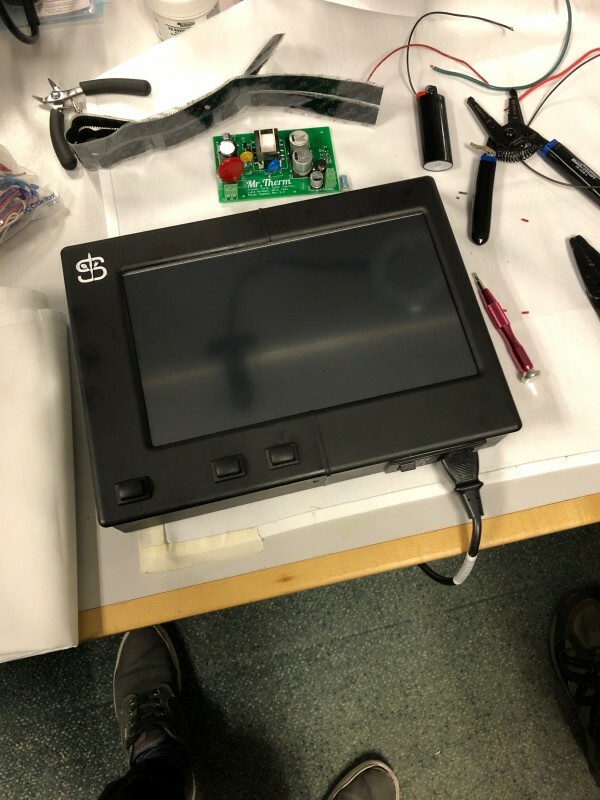 Erickson chose the STMicroelectronics STM32F100 microprocessor and the work incentive of a design contest deadline (see Photo 1). In Part 1 of the series, Erickson explains the design’s audio sections, including the crosspoint board, quad preamplifiers, modular audio amplifiers, and packaging. He also addresses challenges along the way. 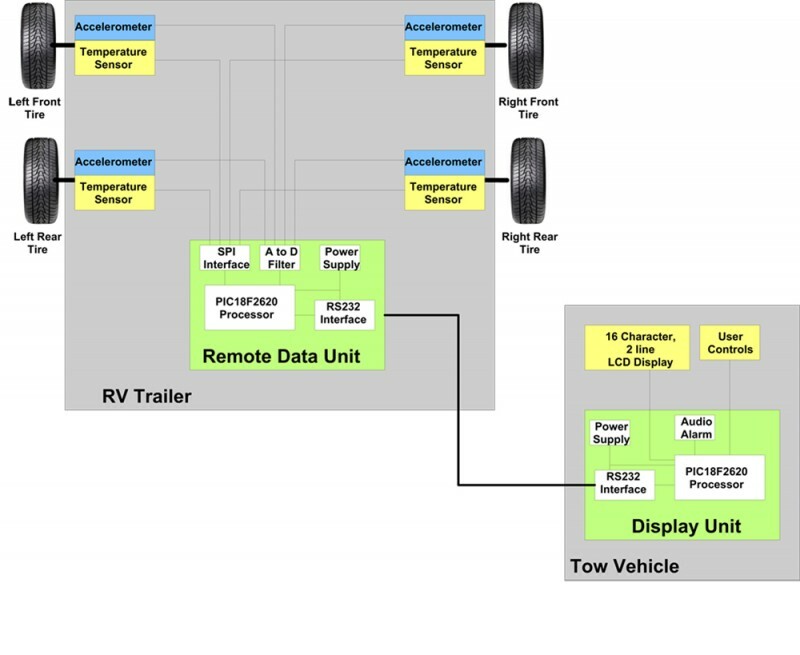 Figure 1 shows the system design including the power supplies, front-panel controls, and the audio and CPU boards. The system is modular, so there is flexibility in the front-panel controls and the number of channels and amplifiers. My goal was to fit it all into one 19”, 2U (3.5”) high rack enclosure. The CPU board is based on a STM32F100 module containing a Cortex-M3-based processor and a USB programming interface. The CPU receives commands from a front-panel keypad, an IR remote control, an encoder knob, RS-232, and external keypads for each zone. It displays its status on a graphic LCD and controls the audio circuitry on the crosspoint and two quad preamplifier boards. 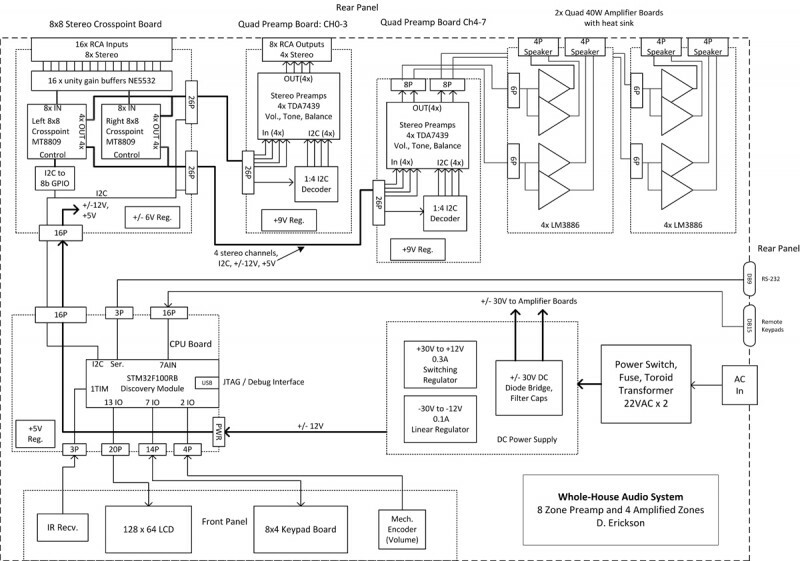 The system block diagram shows the boards, controls, amplifiers, and power supplies. 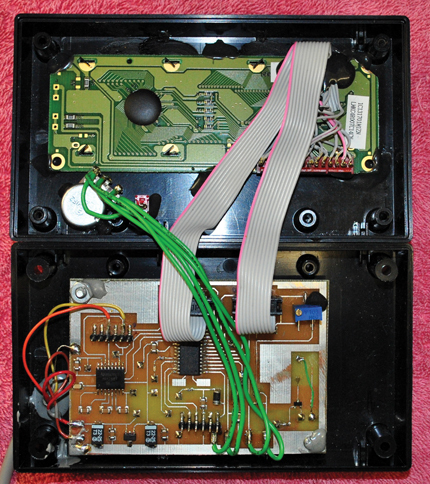 Photo 2 shows the crosspoint board, which is the analog heart of the system. It receives line-level audio signals from up to eight stereo sources via RCA jacks and routes audio to the eight preamplifier channels located on two quad preamplifier boards. It also distributes digital control and power to the preamplifiers. The preamplifier boards can either send line-level outputs or drive stereo amplifiers, either internal or external to the system. My current system uses four line-level outputs to drive PCs or powered speakers in four of the zones. It also contains internal 40-W stereo amplifiers to directly drive speakers in the four other zones. Up to six stereo amplifiers can reside in the enclosure. Photo 2: The crosspoint board shows the RCA input jacks (top), ribbon cable connections to the quad preamplifiers (right), and control and power cable from the CPU (bottom). Rev0 has a few black wires (lower center). 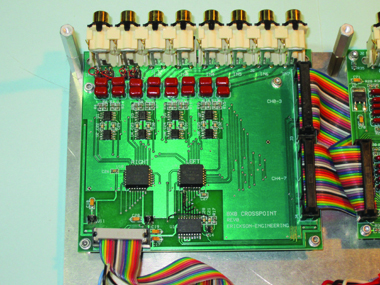 DIYers dealing with signal leakage issues in their projects may learn something from Erickson’s approach to achieving low channel-to-channel crosstalk and no audible digital crosstalk. “The low crosstalk requirement is to prevent loud music in one zone from disturbing quiet passages in another,” he says. The crosspoint receives digital control from the CPU board, receives external audio signals, and distributes audio signals to the preamplifier boards and then on to the amplifiers. It was convenient to use this board to distribute the control signals and the power supply voltages to the preamplifier channels. I used 0.1” dual-row ribbon cables to simplify the wiring. These are low-cost and easy to build. To transmit high-quality audio along with power and logic control signals on the same cable, it is important to use a lot of grounds. Two 34-pin cables each connect to a quad preamplifier board. In each of these cables, four channels of stereo audio are sent with alternating signals and grounds. The alternating grounds act as electric field “guards” to reduce crosstalk. There are just two active logic signals: I2C clock and data. Power supply voltages (±12 and 5 V) are also sent to the preamplifiers with multiple grounds to carry the return currents. I used a similar grounding/guarding approach throughout the design to minimize crosstalk, both from channel to channel and from digital to analog. On the two-layer boards, I used ground planes on the bottom layer. Grounded guard traces or ground planes are used on the top layer. These measures minimize the capacitance between analog traces and thus minimize crosstalk. The digital and I2C signals are physically separated from analog signals. Where they need to be run nearby, they are separated by ground planes or guard traces. To find out more about how Erickson upgraded his audio system, download the January issue (now available online) and the upcoming February issue. In Part 2, Erickson focuses on his improved system’s digital CPU, the controls, and future plans. In Circuit Cellar’s September issue, columnist Jeff Bachiochi provides his final installment in a three-part series titled “Serial Displays Save Resources.” The third article focuses on bitmap (BMP) files, which store images. A BMP file has image data storage beginning with the image’s last row. a—Displaying this data as stored will result in an upside-down image. b—Using the upsidedown=1 command will rotate the display 180°. c—The mirror=1 command flips the image horizontally. d—Finally, an origin change is necessary to shift the image to the desired location. These commands are all issued prior to transferring the pixels, to correct for the way the image data is stored. LCDs are inexpensive and simple to use, so they are essential to many interesting projects, Jeff says. The handheld video game industry helped popularize the use of LCDs among DIYers. Huge production runs in the industry “made graphic displays commonplace, helping to quickly reduce their costs,” Jeff says. “We can finally take advantage of lower-cost graphic displays, with one caveat: While built-in hardware controllers and drivers take charge of the pixels, you are now responsible for more than just sending a character to be printed to the screen. This makes the controllers and drivers not work well with the microcontroller project. That brings us to impetus for this article series. “In Part 1 (‘Routines, Registers and Commands,’ Circuit Cellar 276, 2013), I began by discussing how to use a graphic display to print text, which, of course, includes character generation. In essence, I showed how to insert some intelligence between a project and the display. This intermediary would interpret some simple commands that enable you to easily make use of the display’s flexibility by altering position, screen orientation, color, magnification, and so forth. “Part 2 (‘Button Commands,’ Circuit Cellar 277) revealed how touch-sensitive overlays are constructed and used to provide user input. 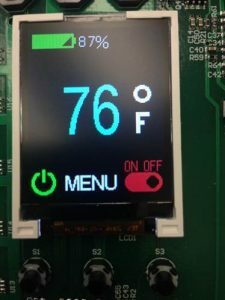 The graphic display/touch overlay combination is a powerful combination that integrates I/O into a single module. Adding more commands to the interface makes it easier to create dynamic buttons on the graphic screen and reports back whenever a button is touched. The prototype PCB I used for this project mounts to the reverse side of the thin-film transistor (TFT) LCD. The black connector holds the serial and power connections to your project. The populated header is for the Microchip Technology MPLAB ICD 3 debugger/programmer. To learn more about the BMP graphical file format and Jeff’s approach to working with a graphic icon’s data, check out the September issue.